A Settlement Services Practitioner is at the library every Friday from 10 am - 4 pm. There may be times that she is away doing outreach in the community, so it is recommended to contact her to book an appointment. Funded by Citizenship and Immigration Canada (CIC), the Library Settlement Services are delivered with partnerships between the Edmonton Immigrant Services Association (EISA), Fort Saskatchewan Public Library, Edmonton Public Library, St. Albert Public Library, and Strathcona County Library. 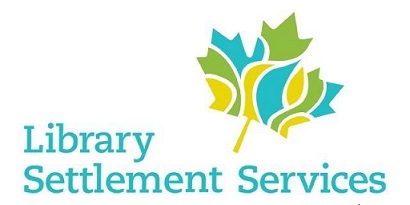 The primary objective of the Library Settlement Services is to connect newcomers to available services and resources in the community. For more information ask for Riza Coo Tuiza, Settlement Practitioner, at 780-991-8223.